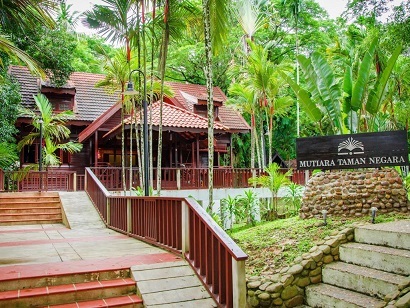 Mutiara Taman Negara Resort has 108 Malaysian wooden chalets and bungalows. Near the four star resort there is also a camping site that overlooks the Tembeling and Tahan Rivers. The Mutiara Resort is located on the river, just in the National Park. On the other side of the river is the village of Kuala Tahan, where you can dine on restaurant boats in the evening. The resort is a 3-hour drive from Kuala Lumpur. There are numerous activities, such as: swimming in Lata Berkoh (a rapids), boat trips, cave visits, jungle trekking, canopy walk, evening walks or visit the evening market. Both nature lovers and adventurers are attracted to this. They enjoy the beautiful views, the sounds and the scents that belong to the resort and smell. 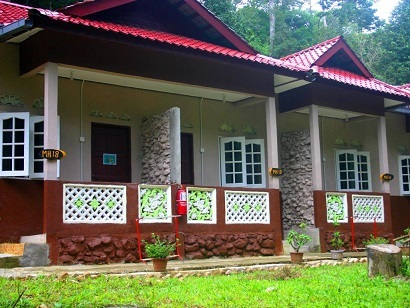 Ideal for fun and relaxation, Taman Negara - Han Rainforest Resort is located in the Taman Negara area of Kuala Tahan. Situated only one kilometer from Kuala Tahan, guests are well located to enjoy the attractions and activities in Taman Negara. With its convenient location, the hotel offers easy access to the must-see destinations of Taman Negara. Taman Negara - Han Rainforest Resort offers impeccable service and all the essential amenities to invigorate travelers. For the comfort and convenience of guests, the hotel offers 24-hour front desk, luggage storage, Wi-Fi in public areas, car park, room service. All guest accommodations feature thoughtful amenities to ensure an unparalleled sense of comfort. The hotel offers wonderful recreational facilities such as fishing, massage and garden to make your stay truly unforgettable. Superb facilities and an excellent location make the Taman Negara - Han Rainforest Resort the perfect base from which to enjoy your stay in Pahang. For travelers who want to take in the sights and sounds of Kuala Tahan, Xcape Resort at Taman Negara is the perfect choice. From here, guests can enjoy easy access to all that Taman Negara has to offer. With its convenient location, the hotel offers easy access to the must-see destinations of Tman Negara. Offering hotel guests superior services and a broad range of amenities, Xcape Resort at Taman Negara is committed to ensuring that your stay is as comfortable as possible. This hotel offers numerous on-site facilities to satisfy even the most discerning guest. Guests can choose from 96 rooms, all of which exude an atmosphere of total peace and harmony. 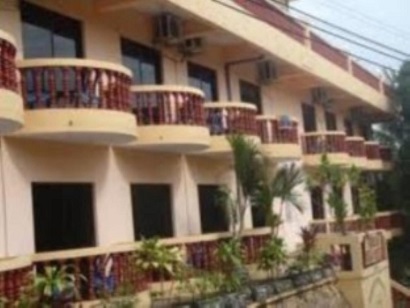 The hotel offers many unique recreational opportunities such as outdoor pool, pool (kids), garden, karaoke. Discover an engaging blend of professional service and a wide array of features at Xcape Resort at Taman Negara. The Nusa Holiday Village guarantees guests a pleasant stay whether in Taman Negara for pleasure. 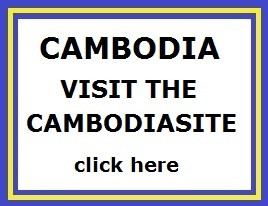 Only away, this 2-star hotel can be easily accessed from the airport. With its convenient location, the hotel offers easy access to Taman Negara's must-see destinations. The facilities and services provided by Nusa Holiday Village ensure a pleasant stay for guests. 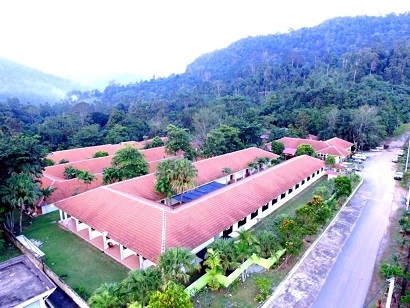 Car park, family room, BBQ facilities, restaurant, tours are just a few of the facilities that set Nusa Holiday Village apart from other hotels in Kuala Tahan. The ambiance of Nusa Holiday Village is reflected in every guestroom. clothes rack, linens, mirror, towels, internet access � wireless (complimentary) are just some of the facilities that can be found throughout the property. The hotel offers many unique recreational opportunities such as garden. Nusa Holiday Village is a smart choice for travelers to Pahang, offering a relaxed and hassle-free stay every time. 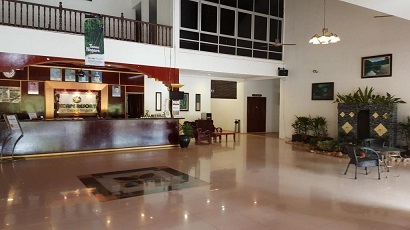 Designed for both business and leisure travel, Teresek View Motel is ideally situated in Taman Negara; one of the countries most popular locations. From here, guests can enjoy easy access to all that Taman Negara has to offer. With its convenient location, the hotel offers easy access to the must-see destinations of Taman Negara. Teresek View Motel offers impeccable service and all the essential amenities to invigorate travelers. A selection of top-class facilities such as daily housekeeping, 24-hour front desk, luggage storage, Wi-Fi in public areas, car park can be enjoyed at the hotel. The ambiance of Teresek View Motel is reflected in every guestroom. air conditioning, balcony/terrace, fan, shower, hair dryer are just some of the facilities that can be found throughout the property. Besides, the hotel's host of recreational offerings ensures you have plenty to do during your stay. Discover an engaging blend of professional service and a wide array of features at Teresek View Motel.